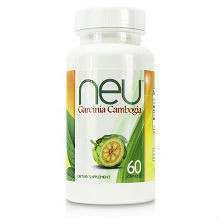 “Burn your Fat without going on a diet or doing exercises” this is the claim NEU™ proudly proclaims with their refreshing Garcinia Cambogia packaging. Helping to bring an end to fat production, containing your appetite, and increasing serotonin levels, it seems NEU™ has all the fundamentals needed for great weight loss success. However, if this is the case, why has no one evaluated the product? Since we have no feedback on which to base the success of this product, we must look at the technicalities in order to discover if this product could turn out to be a success. NEU™ recommends that consumers take 1 capsule twice a day, 30 minutes before a meal. It is suggested that users take each capsule with a full glass of water. *As there had been no feedback from users side effects are not known while using the supplement. The NEU’s website advises that the supplement costs $38.98 and offers various discounts when you order more than one bottle. With each item bought, customers receive 60 capsules, equal to a 30 day supply. NEU™ gives each of their clients a 30 day money-back guarantee. Even though this appears like a sound guarantee, there is a loop hole. Because the supplement will have to be sent back in less than 30 days, users cannot try the entire bottle. Consequently, if results are not satisfactory in less than a month, this guarantee is unacceptable. Although no reviews have been located, on this particular product, the information provided above can assist consumers in making the right decision before buying NEU’s dietary supplement. Evaluating the collected data, there are ingredients which future consumers should be warned about. 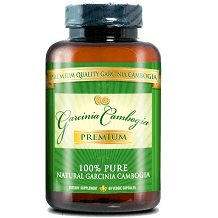 First concerns the daily amount of Garcinia Cambogia. It has been tested that a daily quantity of 1600 mg or higher is required for weight loss success. Nonetheless, with NEU™, customers only receive 1000 mg. This means each day, you will be disadvantaged of 600 mg needed for success. One more element which needs to bear in mind is the intake of calcium. Numerous studies have been done to show that this mineral can in fact decrease the efficiency of Hydroxycitric Acid. Although NEU™ contains a minute dosage when measured up to some other weight loss supplements this ingredient could still slow down weight loss from being successful.